Keep your home warm, safe, and secure with these traditional composite double French doors. Featuring elegant panelling and a windowed arch in each door, these double composite doors are not only practical for exterior use, but also look great in a variety of environments. 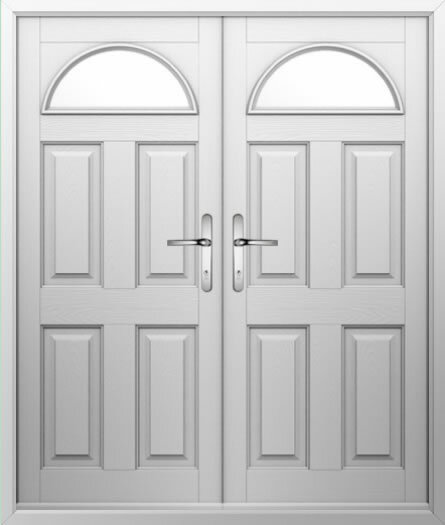 Available in a wide choice of colours with a variety of handle options, these light-enhancing double doors are ideal for use in kitchens or lounges where safety, performance, and style are all equally as important.